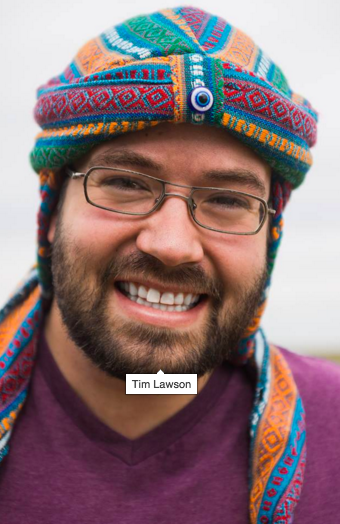 Profile Response: Tim Lawson, Portal AZ | How Will We Live Tomorrow? Tom Lawson is a very long distance runner. 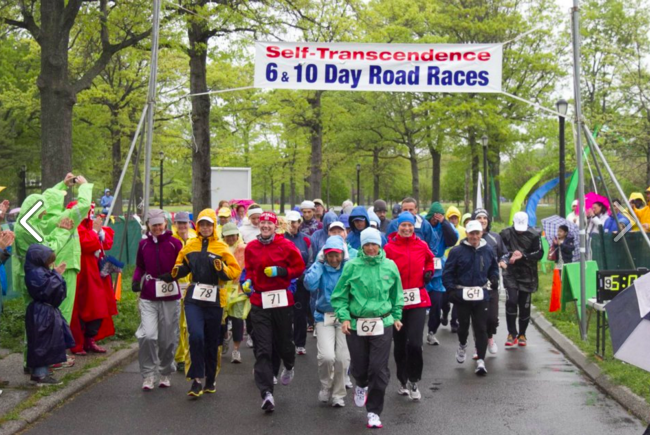 His preferred venue are races where runner’s cover a mile loop as many times as they can in six days. “There’s a kitchen on the course. We run in one side, grab food, and run out he other. I nap two hours max at a time.” Tim prefers running at night, where lesser visibility creates a sharper focus. “In one race in Queens, I got into my head space and ran fifteen miles without realizing it.” The world record for these races is 643 miles; Tim’s personal best is 450 miles. That’s over seventy miles a day. 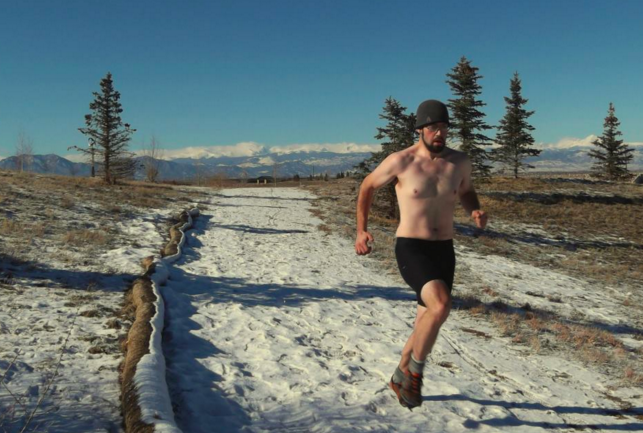 Three years ago, when living in Boulder CO, Tim decided to go on a long run. 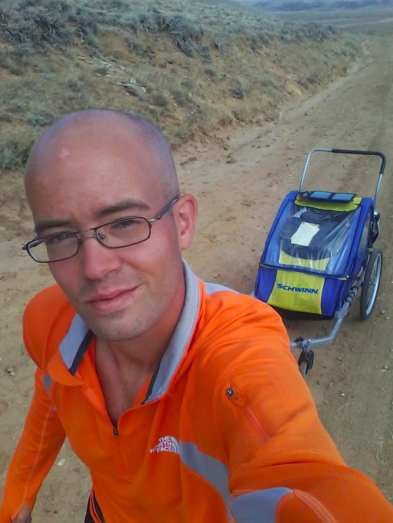 He retrofitted a runner’s baby pushcart to carry one hundred pounds of gear, mostly water, and took off for Portland, OR. From Portland he headed south. “It rained all along the Oregon coast and I didn’t want the tent to get mildewed, so I ran continuously and slept in one hour stints against guardrails. I ran from Portland to Yosemite in three weeks.” Tim returned to the coast. “I don’t like running in cities, so I went from Malibu to Long Beach, 60 miles, in one day.” When Tim got to San Diego he turned east toward Jacksonville, FL. At one point Tim was down to 168 pounds. He added one jar of Nutella a day to his diet to get back to 175 pounds. He averaged a four to five mile an hour pace: 35 miles a day. Tim met Ron Kaczor running through Coronado National Forest in a snowstorm. After two days of rest, Tim continued east. Forty miles out the wheel on his rig broke. He returned to Portal and has been living in Ron’s trailer ever since. He’s a computer handyman and ranch hand. “The problem is a lot of these big cities people will never get out of the mentality that things just come to them. They have no connection to the natural world or our natural resources. That is a hindrance to how I would like to see the future. This entry was posted in Responses and tagged Portal AZ, Steven Pinker, The Better Angels of our Nature, Tim Lawson, ultramarathon. Bookmark the permalink.